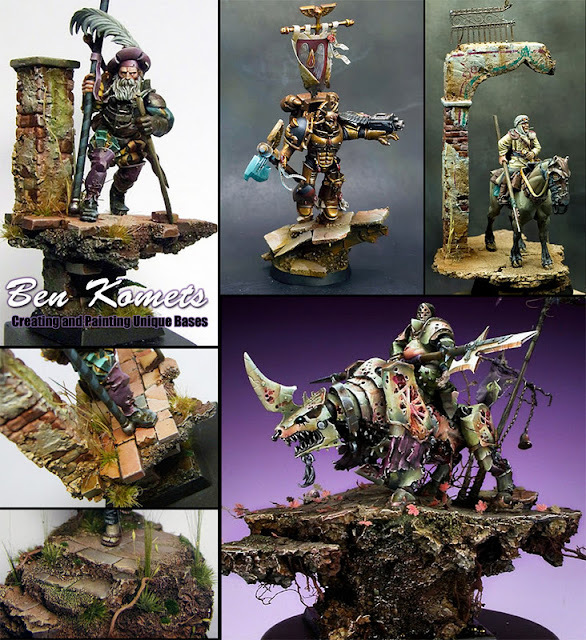 MASSIVE VOODOO: Ben Komets via Miniature Mentor? There are 6 Kommentare for Ben Komets via Miniature Mentor? was Qualität und das können angeht. geiler ist es, das er sie auch noch anmalt. Does he tell what he is doing in german ? Ey! This is still an english spoken blog - it would be no problem if we would write german in here ... no language discussion in here - ough! Mr. Ali, it was good to see you again btw. Nope. The spoken language in the video is english. Ok buddy, now i write only in english, im the english pro ;-) just kidding. It has done good to see you massive crew at the weekend. I can also recommend the Miniature Mentor tutorials. Also bought the download yesterday, great quality and fun to watch. sure, miniature mentor are very nice, good quality, and as I love basing, I would probably buy this one ! Thanks for the info Roman !